Judge: Scalia’s heart stopped (he didn’t suffer a heart attack). 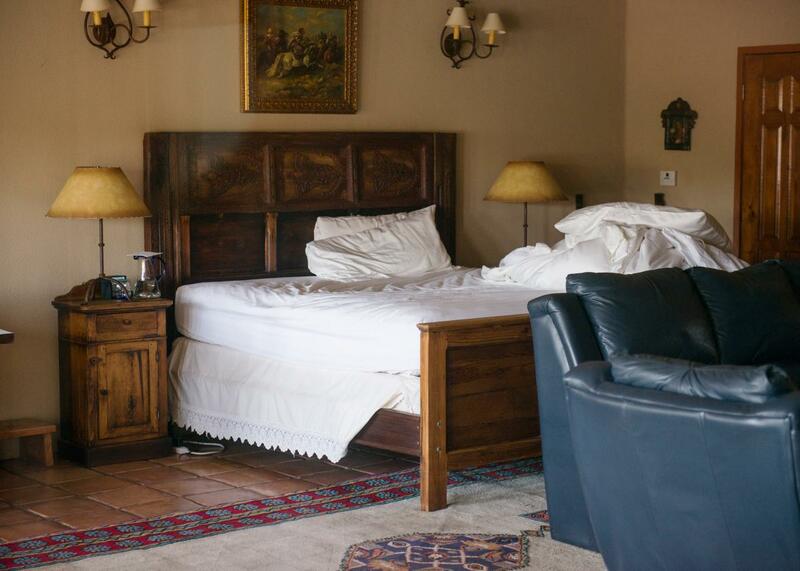 The “El Presidente” suite where Supreme Court Justice Antonin Scalia was found dead at Cibolo Creek Ranch in Shafter, Texas, pictured on Feb. 14, 2016, the day after his death. UPDATE: The Washington Post talks to Presidio County Judge Cinderela Guevara who denied claims she had told a local TV station that late Justice Antonin Scalia died of a heart attack. “It wasn’t a heart attack,” Guevara said. “He died of natural causes.” This was hardly the only confusion in the way Scalia’s death was reported and revealed to the world. Read more about that here. Original post at 2:25 p.m.: The death certificate for Supreme Court Justice Antonin Scalia will list myocardial infarction, or a heart attack, as the cause of death, Presidio County Judge Cinderela Guevara tells ABC Dallas affiliate WFAA. Scalia’s body was taken to an El Paso funeral home overnight, where it is likely to stay until Monday, when it is expected to be flown to northern Virginia. Guevara recounted to WFAA how she found out about Scalia’s death through a spotty cell phone connection, which is hardly uncommon in Far West Texas. She pronounced Scalia dead over the phone at 1:52 p.m. on Saturday. “As part of my investigation, one of the things I did ask the sheriff and the U.S. Marshal: ‘Were there any signs of foul play?’ And they said, ‘absolutely not.’ At that time, I still wanted to be careful, and asked them if [Scalia’s] physician would call me.” The doctor called Guevara on Saturday evening and told him the late justice suffered from several chronic ailments.